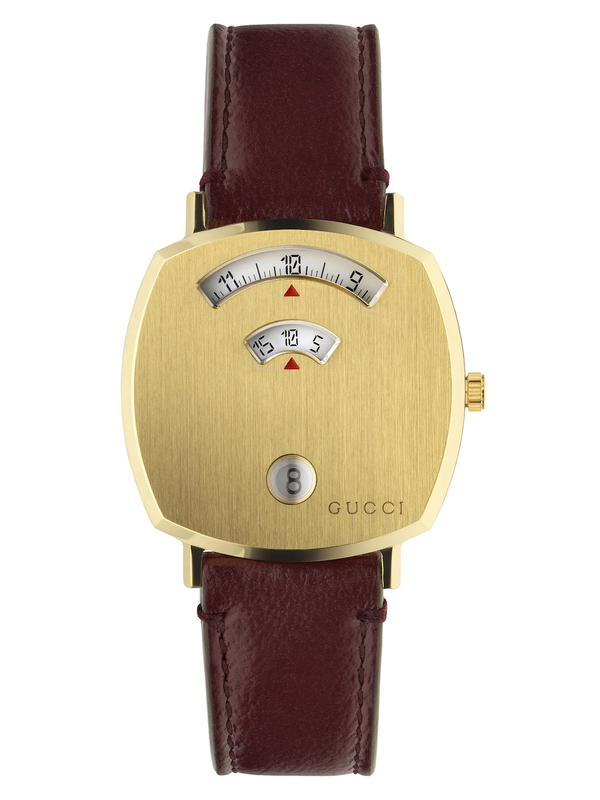 Gucci is introducing a brand-new unisex watch line called Grip. 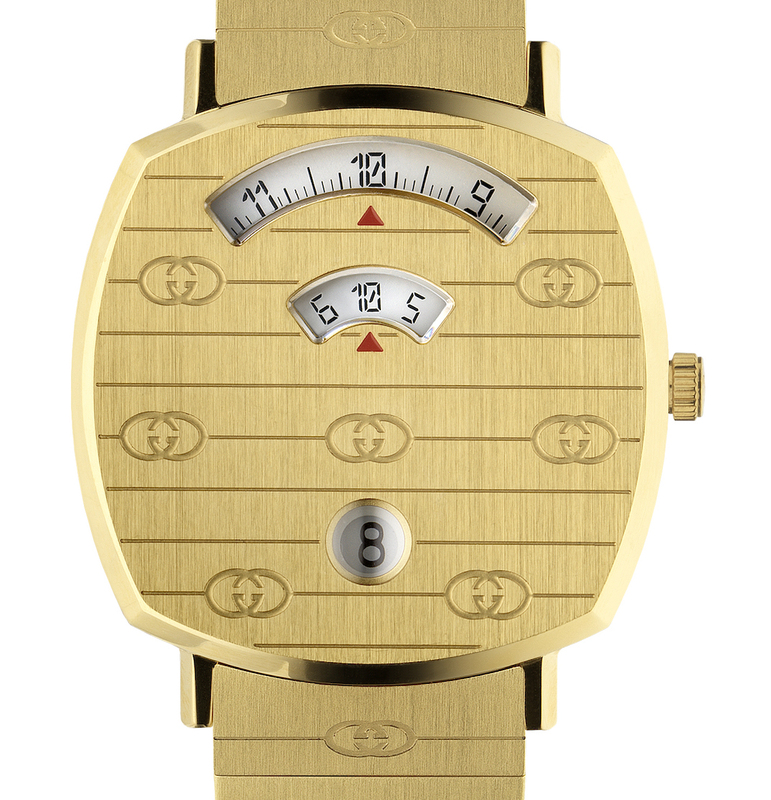 The case and dial are one piece done in stainless steel or yellow gold PVD, andengraved with Gucci's signature interlocking G logo. Cases are available in 38mm and 35mm. 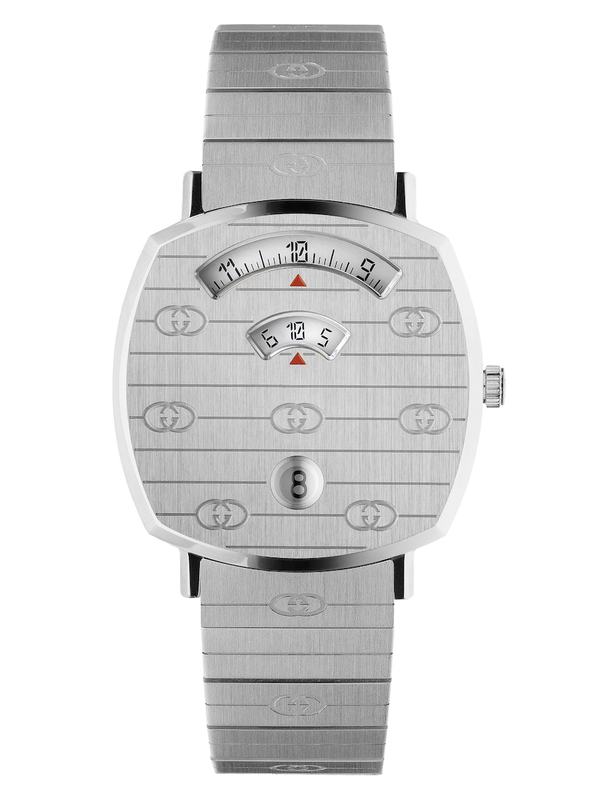 Movement is a Swiss quartz caliber with digital display of the hours, minutes, and date. The "dial" is three windows with three white rotating disks indicating hours, minutes and date. It comes on a steel or yellow gold PVD bracelet. 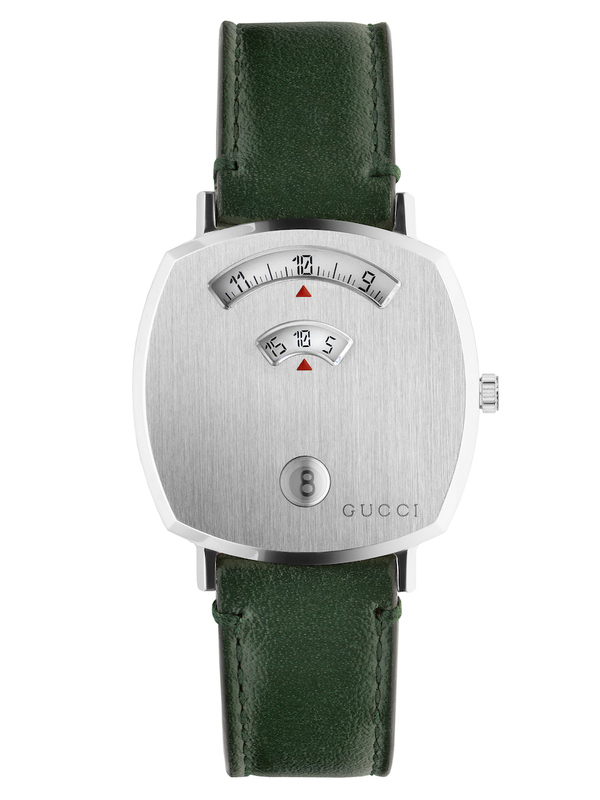 Or with a green or bordeaxu calf leather strap with matching metal buckle.